Erie Creek Provincial Park protects a mature cedar-hemlock forest and riparian black cottonwood ecosystem along the northern banks of Erie Creek. Despite the park’s small land base (15 hectares), it provides an essential wildlife corridor for large mammals. In addition, Erie Creek retains healthy populations of both rainbow and introduced brook trout. 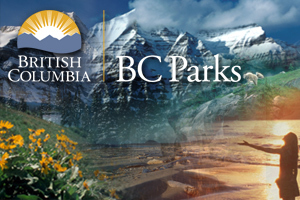 The park was formerly a day-use area; however, constant flooding and the resulting damage to facilities prompted BC Parks to close the site. Currently, the park is unsigned and deactivation of the entrance road and parking area discourages day-use. Please Note: No facilities are offered in this park. There is no park information at this time. The approved online Purpose Statement and Zoning Plan [PDF] is now available online in pdf format.